Thursday Poll: Hardware, Physical or On-screen Navigation Buttons? Last night, on episode 4 of The Droid Life Show, we talked briefly about our feelings towards the variety of designs that hardware manufacturers choose when it comes to navigation buttons on Android phones. HTC tends to go all hardware (soft) navigation buttons, while Samsung has been mixing in physical home buttons with hardware (soft) back and menu buttons. 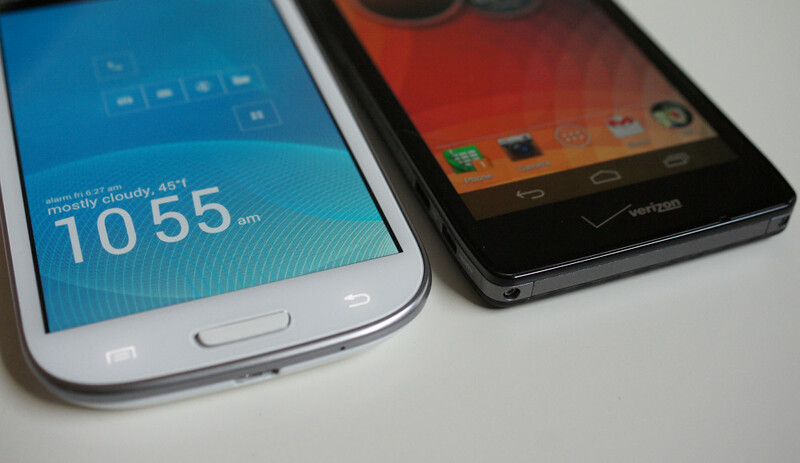 Motorola seems to have adopted on-screen (software) buttons along with Google and their Nexus lineup. Whenever a new phone is posted, leaked, or announced, someone always comments with their feelings towards the manufacturer’s choice in this department. So let’s do what we do, and make our thoughts official in a poll. Tell us which setup you prefer and why. Hardware, Physical or On-screen Navigation Buttons?